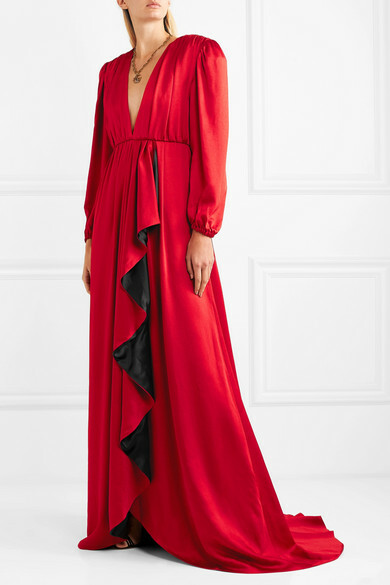 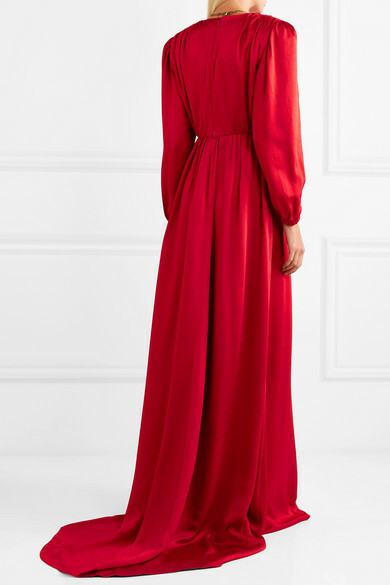 Tapping into the season's fascination with '80s opulence, Gucci's gown has strong padded shoulders and a statement ruffle that trails along the front. 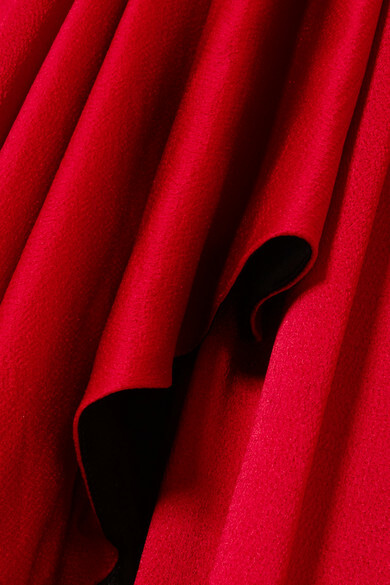 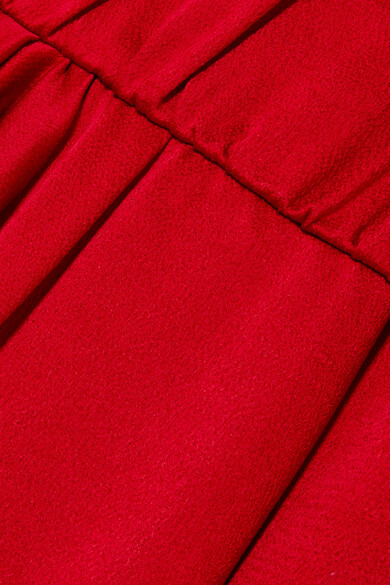 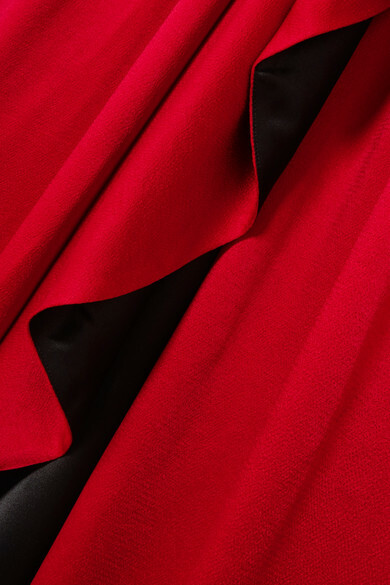 It's cut from red hammered-satin that has a beautiful sheen and is lined in silk to enhance the drape. 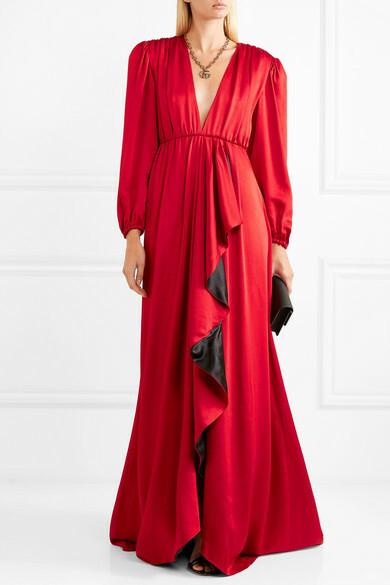 Take cues from the runway and wear stacked bangles below the cropped blouson cuffs.